Just a week after the PlayStation 4 hit stores, the Xbox One has arrived, setting the state for a pretty vicious Black Friday here in the States. Both consoles are fighting for the living room in earnest this holiday, and that could set the tone for how the consoles will perform throughout their respective life cycles. The PS4 had a strong showing in its debut, with Sony reporting that more than a million consoles sold within the first 24 hours. But don’t discount the Xbox One just because it’s a little late — the console has enough differences that it will definitely draw an audience all its own. While Microsoft has been touting the Xbox One as an “all-around” living room media console versus an out-and-out gaming system, there’s still plenty of features that are enticing for the core gamer. It’s a powerful system that meets many gamers’ must-haves while also creating game experiences that can’t be found anywhere else. And many will find major value in it, even though it comes with a hefty price tag of $499.99. 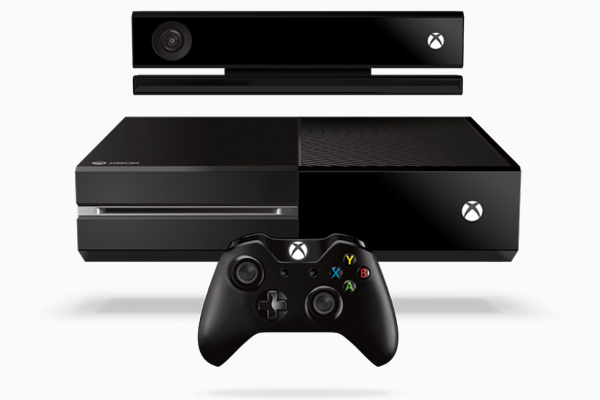 It’s hard to talk about the Xbox One without talking about one of its main selling points: the Kinect. What was once a $100 add-on has now become part of the base console package, bringing every Xbox One owner voice control and powerful camera features like facial recognition pretty much out of the box. The Kinect does some great things that help the overall operation of the console — such as using QR codes to automatically download games, accessing apps, even turning the console on — but it’s key to note that not many games currently use the new and improved device to its fullest extent. But with titles like Dance Central 4 on the way early next year, the Kinect will have a better opportunity to shine. Both the Xbox One and PlayStation 4 offer amazing performance, but Microsoft has brought something a little different to the inside of the Xbox One. Inside the console’s massive, rectangular shell sits 8GB of DDR3 RAM and a proprietary eight-core CPU — meaning that the hardware is focused on cutting latency and speeding up those important load times. The system has a 853 MHz AMD Radeon GPU with 768 shaders, which means that games can work up to a nice and clear 1080p resolution without significant lagging or annoying texture pop-in. Compare that to the great-for-its-time Xbox 360, and commonly shared games like Call of Duty: Ghosts look worlds apart — and the Xbox One does it with surprising silence and efficiency. While the console comes with a 500 GB hard drive, serious fans of downloadable games will be able to easily expand that with an external hard drive connected to the system. It’s not clear at this juncture whether Microsoft will provide a list of approved external drives, but it avoids opening the console entirely. Like the Kinect, the Xbox One’s newest controller is also a big plus. Many will argue that the Xbox 360 controller was the best ever made, but Microsoft chose to pour more than $100 million into developing a suitable successor for the Xbox One. The result can only be measured by a few subtle differences — extra grips around the thumb-sticks, a softer trigger pull and a better feeling D-pad — but it’s just enough tweaking to offer a difference from the old controller. It is new, but not so new that it’s unfamiliar. Of course, the jury is still out on whether this controller will be universally loved, but it seems that Microsoft knew better than to stray from the recipe that made operating the 360 a joy. In gaming, second-screen engagement doesn’t happen very often. However, the Xbox One has a non-intrusive and useful second screen process with its Xbox SmartGlass app for iOS, Android and Windows. SmartGlass works as a natural extension of the Xbox One’s dashboard, and an easy controller to access games, streaming content and other apps that can be directly “pinned” within the app. Those can be accessed at any time, and SmartGlass can actually be used on other consoles to bring up personal user preferences. Microsoft also promises further game integration with SmartGlass in the future, meaning that it may have some real second-screen uses as games roll-out over the next year. Speaking of games, I will be the first person to say that the launch-ready titles for both the PS4 and the Xbox One aren’t exactly the most amazing offerings. However, if flashy and concept-pushing titles are of more interest to you, then the Xbox One has the better list. At launch, Xbox One will not only have multiplatform titles like Call of Duty: Ghosts, Battlefield 4, and Skylanders: Swap Force available, but also a big-title exclusive in Ryse: Son of Rome and zombie gore-fest Dead Rising 3. 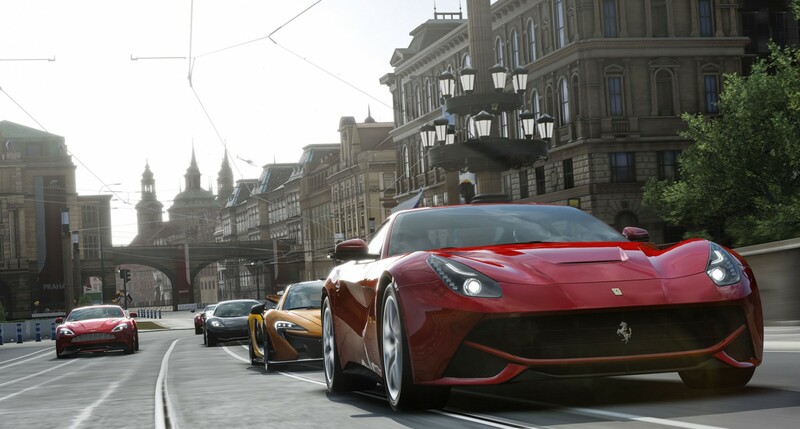 But arguably the best and most attractive game out for launch across all consoles is Forza Motorsport 5 — an Xbox One exclusive racing game that takes advantage of enhanced graphics and the aforementioned grippy thumb-sticks. It’s hard to tell whether this slight advantage at launch will turn into more valuable exclusives down the line, but right now, the Xbox One has more interesting, top-title games that will be popular with a mainstream audience. Finally, it’s impossible to ignore the strides that Microsoft has made with the Cloud. While it doesn’t have the Gaikai support that the PS4 offers, the Xbox One has plenty of utility in its Sky Drive app. In addition to storing files and media within the cloud, Sky Drive offers some cool gaming features. Without a doubt, the coolest thing that it can do is automatically record and upload game data into the cloud. In order to do so, a player just needs to say “Xbox, record that.” The system will automatically record the previous 30 seconds of footage and load it into the Cloud. Users can also record in advance, logging footage for up to five minutes. Once its in Sky Drive, users can access it with any Windows machine or load it directly onto social media. There’s a big downside, though: The Xbox One does not support live-streaming through Twitch.tv or Ustream at launch. But that will be amended soon, and the throughput of Sky Drive makes up for it. Check out last week’s analysis of the PlayStation 4, and a detailed look at both consoles from an entertainment perspective by my colleague, Janko Roettgers. What I’d very much like to know is how much it will be discounted if it doesn’t sell well.